When you think about Disney, visual wonders and magical stories come naturally to your mind. But unforgettable music, too. From Carl Stalling to Alan Menken, Disney has always teamed up with the best of composers, since animation, be it for emotion or because of the trickiness of Mickey-Mousing, demands the most elaborate of scores. As John Debney once told me, as far as composers are concerned, “animation is what separates the men from the boys”. With that in mind, oddly enough Disney had never approached composer John Powell to score any of their movies… until now. Having scored the music of some of the popular animated films of our times, from Ice Age: The Meltdown, Happy Feet, Horton Hears a Who and Kung Fu Panda, John Powell now stands as one of the greatest specialists of the medium. On Disney’s Bolt, he confirms his expertise, not only in his examples of action music, but also – and most of all, should I say – in his layering of emotion. Because Bolt is not only a comedy or an action, animated movie. As Walt Disney said it: for every laugh, there’s a tear. And John Powell perfectly understands that. To talk about this awesome score, we turned to one of Powell’s closest collaborators, John Ashton Thomas, who was principal Orchestrator on Bolt. 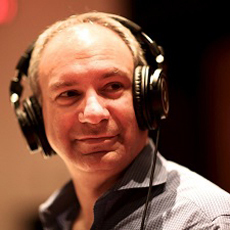 John is a composer and musician with a large breadth of musical experience. He holds a Master’s Degree in Composition from the University of London, and is an Honorary Associate of the Royal Academy of Music, London. He has worked as a composer, arranger, orchestrator, conductor, pianist/keyboard player and teacher in the UK and the USA. It is in 2001 that he started working with fellow former Trinity College student John Powell, on the comedy Rat Race. 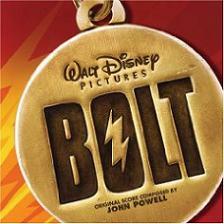 Many collaborations have followed, on most of John Powell’s scores, up to Bolt. 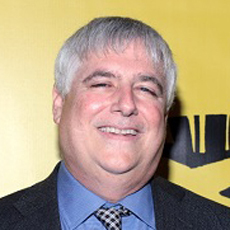 He’s recently been working with another famous composer, John Debney, on…another dog story, Hotel for Dogs! Animated Views: How would you describe your role and work as John Powell’s main orchestrator? John Ashton Thomas: The job of a film orchestrator is to make the music sound good when played by the orchestra. John’s arrangements are already full of detail when I get them. I receive MIDI files and mp3s. This is standard practice in Hollywood. I create a playable score from these materials. I do not see the movie as I orchestrate, but have sometimes seen it prior to that. 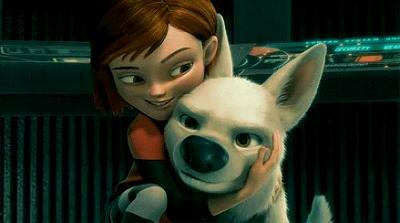 In the case of Bolt I had seen the movie extensively. AV: What kind of orchestra did that score demand? AV: There’s a huge contrast between the TV series sequence and the “real life” sequences, from the visual as well as musical point of view. Was the orchestration different, too? JAT: The orchestra is the same for the TV sections as it is for the rest of the movie, but the style of composition is different. AV: Bolt is about a journey across America. How did you approach that element of the film? JAT: John has made some geographical musical references in the score: the scenes set in New York are an example, where the use of some jazz elements evoke the spirit of the city. AV: How do you see Bolt‘s score regarding the other animation scores you’ve worked on, such as Horton Hears a Who or Kung Fu Panda? Despite all the action scenes, it seems to me more intimate, a little less exuberant, which is a very nice touch. Do you agree? JAT: Yes, I agree: the story is intimate in many aspects, and the music reflects that. Compared with, say, Horton Hears a Who, this score does not contain many unusual instruments. AV: Can you tell me about the art of orchestration, how it can bring special emotion to a character and its story? JAT: The compositions bring special emotion to a character and its story. The orchestration allows the music to be played by musicians. When music is played by a large number of musicians the emotional content is, by definition, huge. Most non-musicians I know, including children, can immediately distinguish between an actual performance and a computer generated recording, and I believe we have enough synthetic replacement (eg: artificial flavorings in food, etc) in our society already. Real musical performance is enriching in all its forms, be it recorded or live performance. The idea of some film music is that it adds emotional depth to a movie, and this is certainly the case with Bolt, in which John’s music absolutely succeeds in doing that. There is a very moving scene involving Bolt and his replacement which is very sad: the use of a simple string texture points the emotional content of the scene perfectly. AV: How long did it take to record? JAT: Nine days, six with orchestra. It was recorded in September 2008. There were three days with percussion, six with orchestra. It was recorded at the Fox scoring stage in Los Angeles. The recording went smoothly thanks to the high degree of skill of the entire team, starting with John, who included engineer Dennis Sands, the ProTools guys, all the incredible musicians, the orchestrators, the music preparation team and the fabulous staff at the scoring stage. The catering manager was great too, and she went out of her way to get hold of some nice tea bags! Our thanks and appreciation to John Ashton Thomas and Dave Metzger.